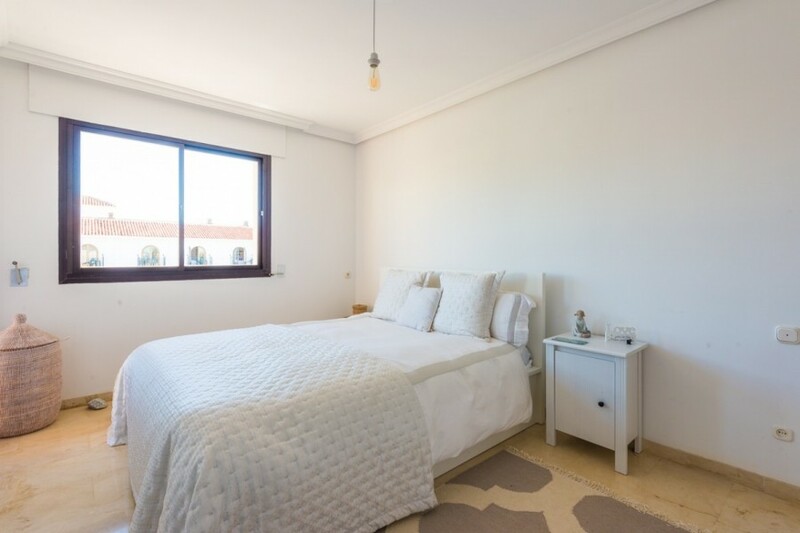 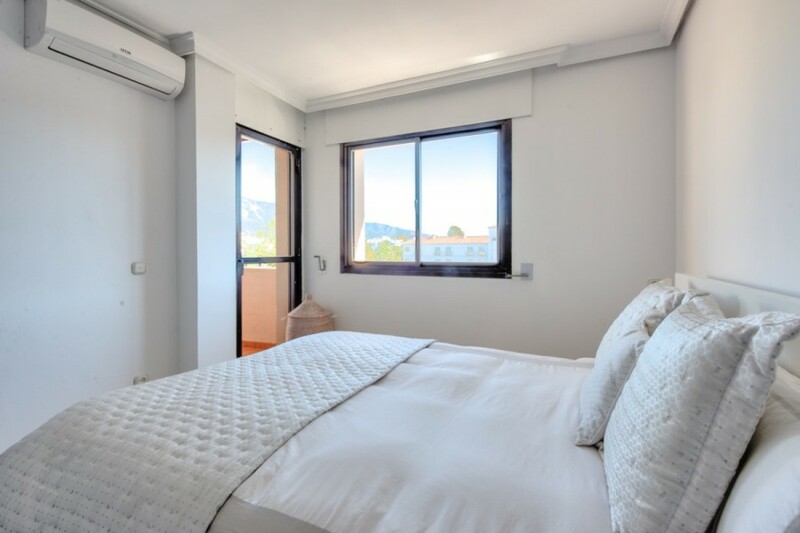 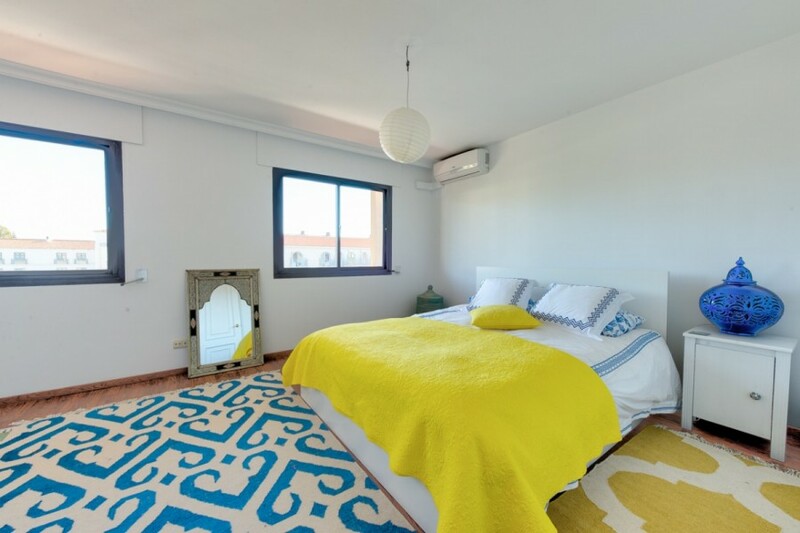 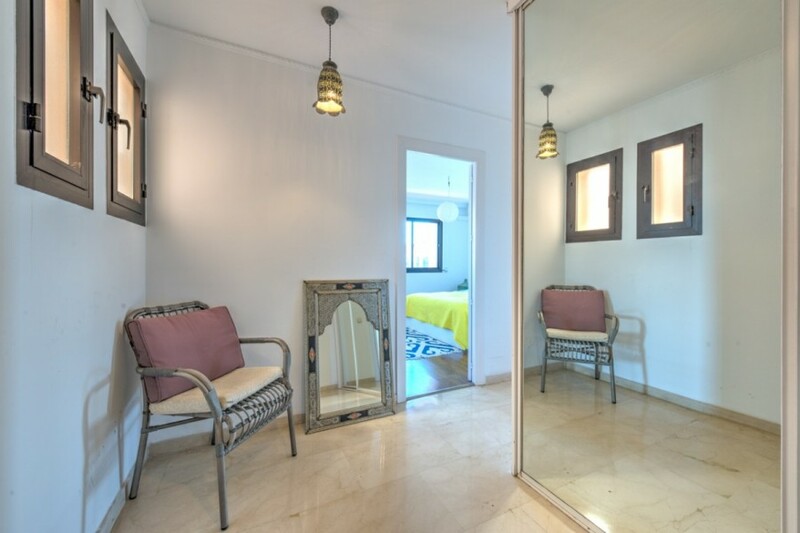 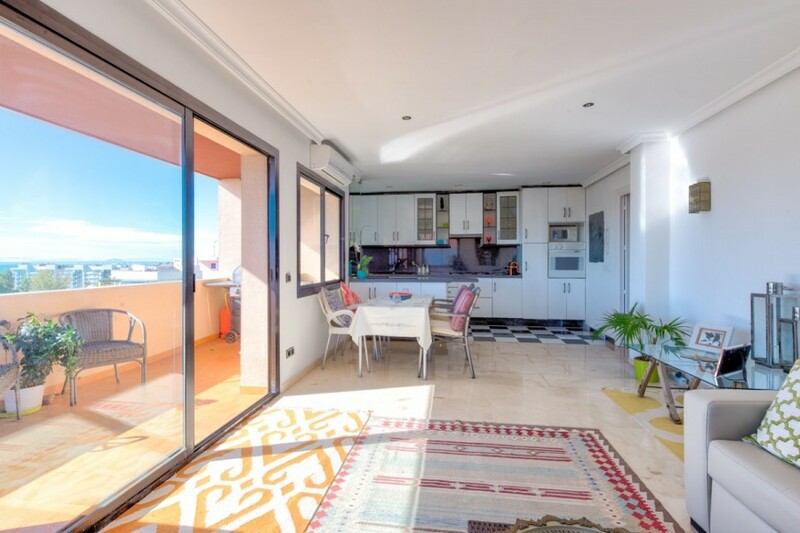 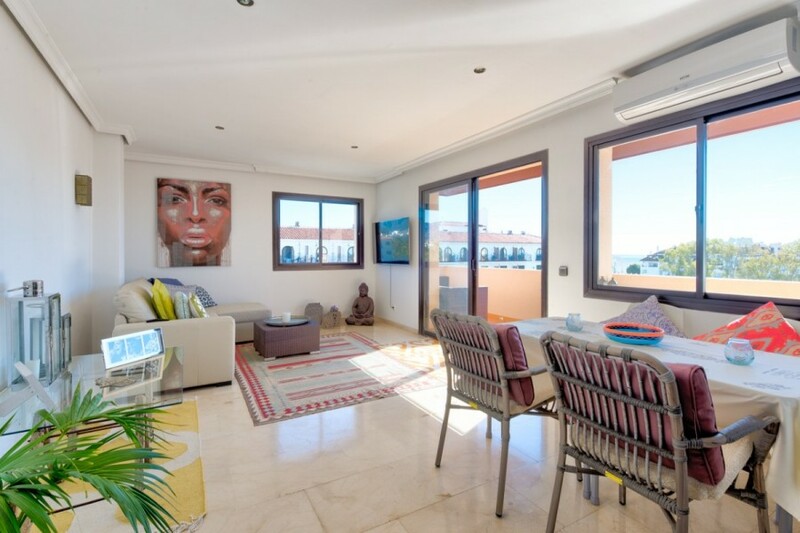 Perfectly located penthouse with sliding doors to the 2 terraces from where you have views of the mediterranean sea and the beautiful mountains of Morocco, Gibraltar, and La Concha. 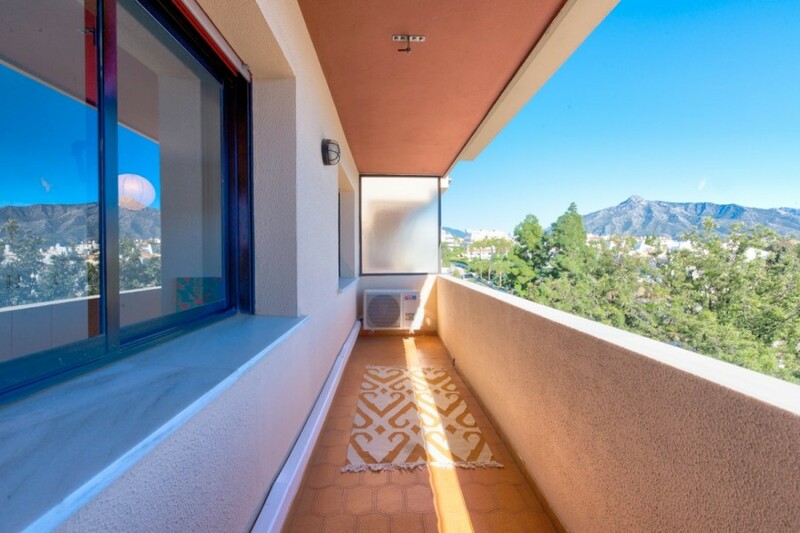 Open floor plan with generous number of windows does make this penthouse fell very bright and airy. 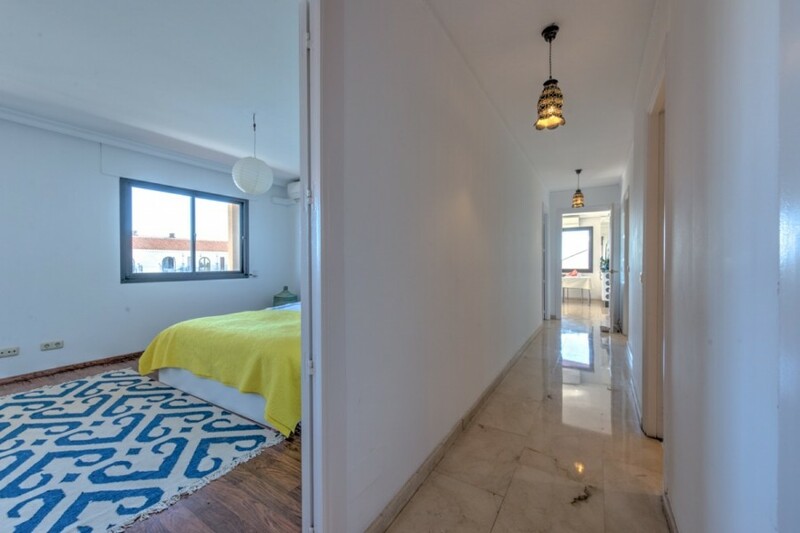 The layout is currently comprised of two bedrooms but can easily be converted to its original composition of three bedrooms. 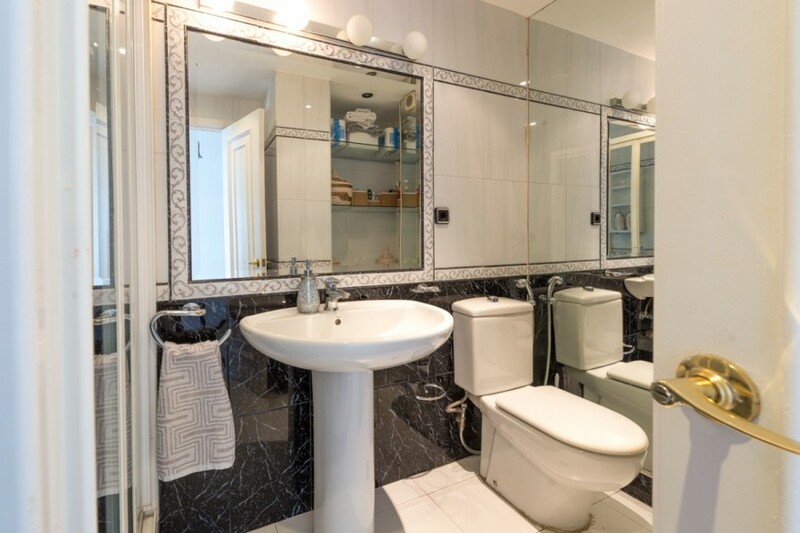 Two bathrooms which one has a bathtub and the other one has a standing shower. 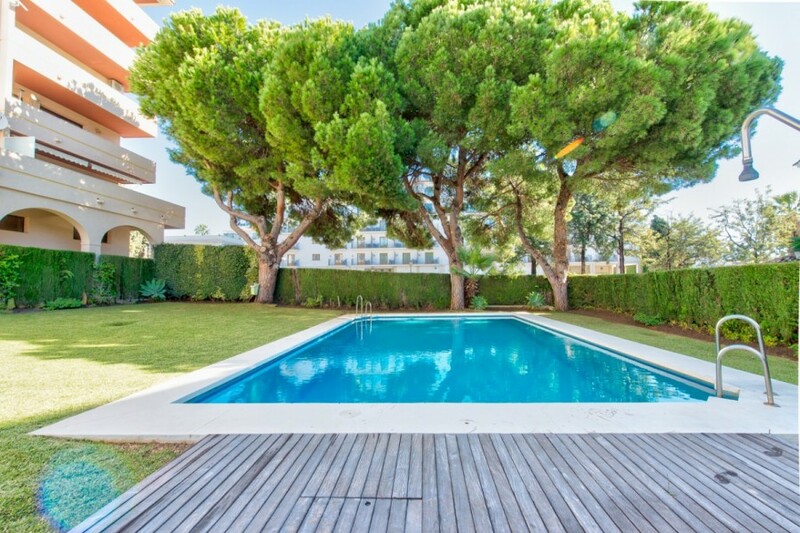 It also includes a garden and a very nice pool. 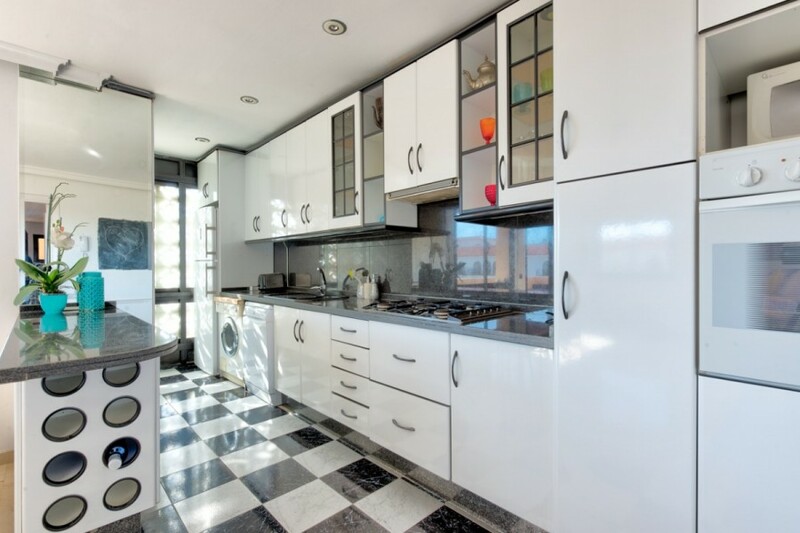 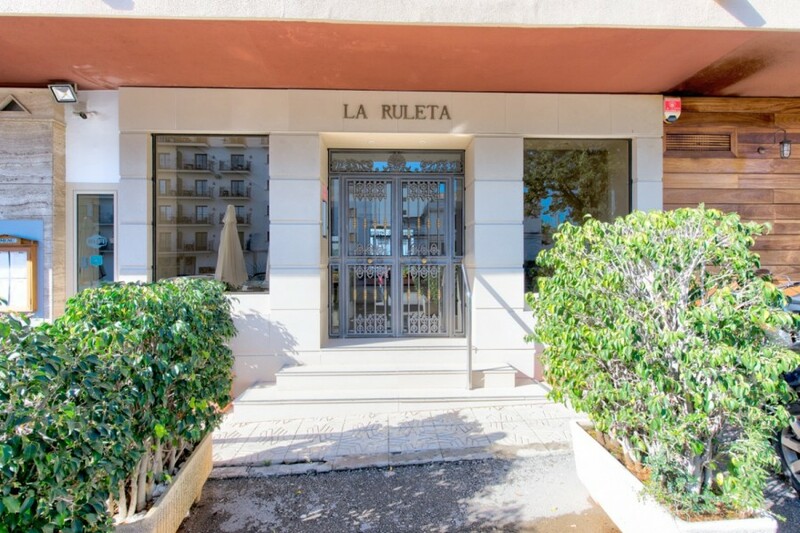 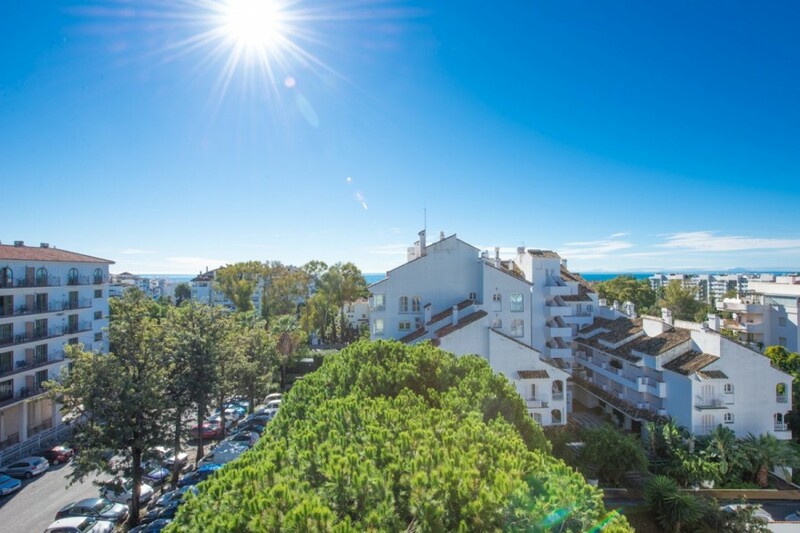 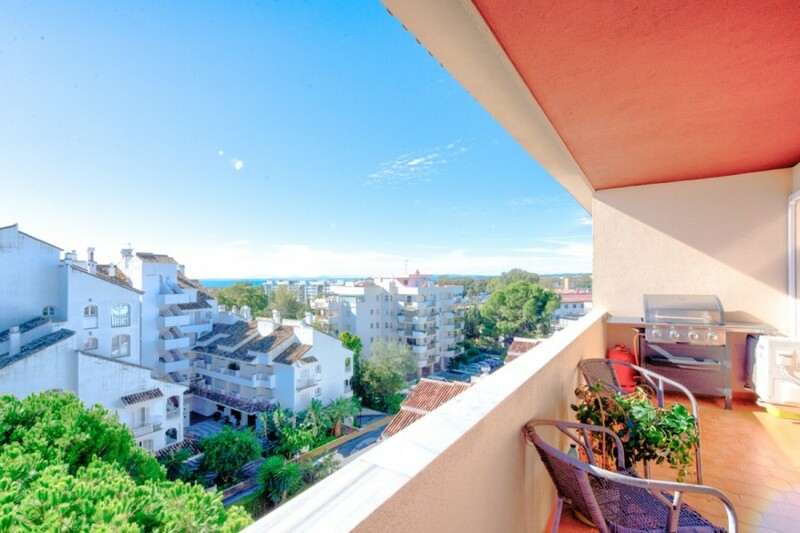 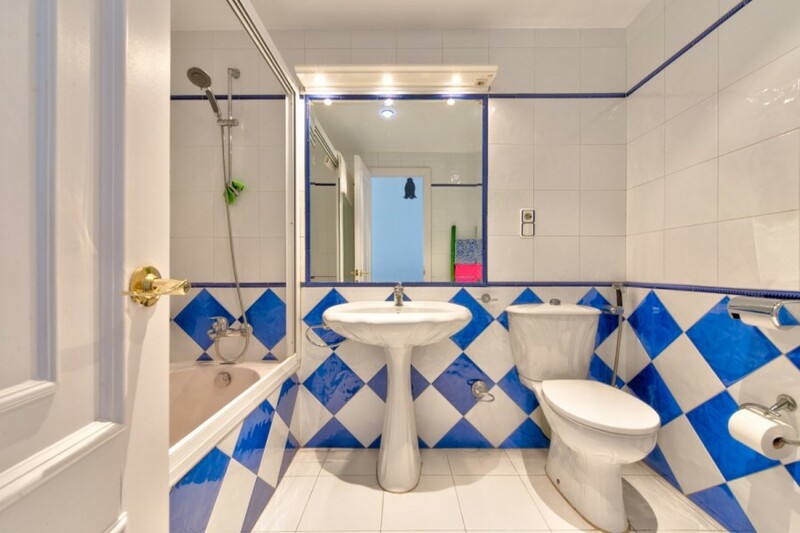 Property very close to Puerto banus.